As skilled health specialists, pharmacy technicians practice under the direction and supervision of a registered pharmacist to execute the various functions of the department. Pharmacy services are expanding at an accelerated rate as seniors, and the population in general, are using more medication to manage one or more chronic diseases. Pharmacy technicians have a major role in the preparation and dispensing of prescription medications. 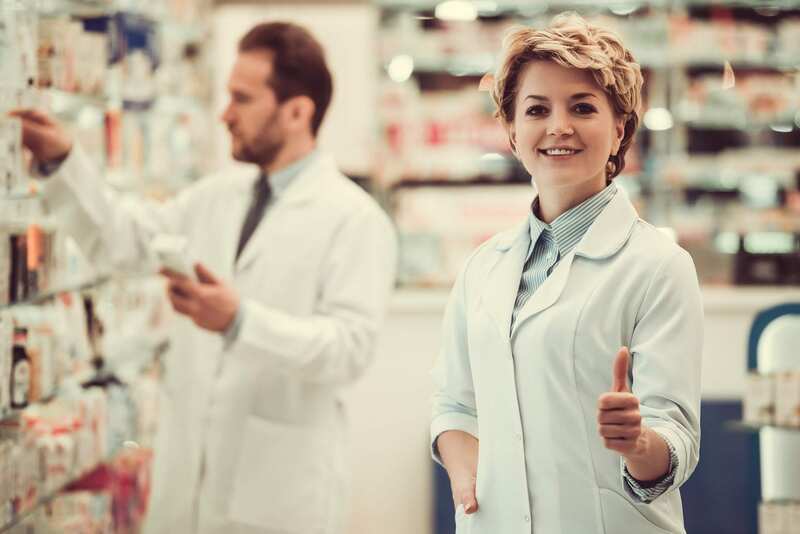 The expansive services that pharmacies offer today require highly-trained technicians who are able to keep up with the volume of new drugs entering the market and stay on top of comprehensive drug information. Technicians are performing many of the traditional pharmacy functions once reserved for the pharmacist. They are essential to the smooth and uninterrupted functioning of a traditional pharmacy. In the state of Michigan, pharmacy technicians must be licensed. Taking the PTCB certification exam to become CPhT certified is a critical step in the licensure process. The Pharmacy Technician diploma program at Everest Institute provides students with technical and practical training to function as competent entry-level pharmacy technicians upon licensure. Students receive the basic knowledge and practical experiences in sterile dosage forms, drug distribution systems, and pharmacy calculations. Instructors emphasize theory and hands-on practice on campus in preparation for an externship in an actual pharmacy setting. The curriculum covers 760 hours or 48-quarter credits. Course topics include the history of ethics of pharmacy, pharmacology, pharmacy law and administration, pharmacy operations in the retail and hospital setting, medical calculations and sterile and non-sterile processing, and pharmacy clinical externship. In addition to core courses, students will also develop strong customer service skills and communication and interpersonal skills to interact with patients and other health care professionals. Requirements for admission include a high school diploma or recognized equivalent and a criminal background check. Applicants should have good mathematical and organizational skills to complete the functions of a pharmacy technician. Tuition for the program is $14,650. The pharmacy technician program at Henry Ford College is a complex skills certificate program that produces multi-skilled adults who are prepared for employment in a hospital, retail, community or another institutional pharmacy. Instructors emphasize clinical skills in the classroom and lab in preparation for the practical learning experience in a hospital, long-term care facility, or home infusion pharmacy. Course topics include the introduction to pharmacy technology, outpatient pharmacy externship, pharmacology, basic pharmacy software, issues in pharmacy, pharmaceutical calculations, applied pharmacy systems, applied out-patient pharmacy systems, and pharmacy externship. Required support courses include medical terminology, computers in health care, and basic language skills. Students will learn how to prepare and dispense medications, process physician orders, prepare IV admixtures and bulk formulations, and communicate effectively. The program is open for admission once per year in the fall semester. Students are admitted on a first qualified, first admitted basis. Applicants must have a minimum high school academic GPA of 2.25 or at least 12 college credit hours with an academic GPA 2.25. Students must also meet the CPR requirements, physical and mental requirements to become employed as a pharmacy technician, and the criminal background check and drug screen requirements. The program is fully accredited by the American Society of Health-System Pharmacists (ASHSP). Through a partnership with sixteen hospital pharmacies and more than 12 retail pharmacies, and several long-term care and home infusion pharmacies, Henry Ford College has the capacity to provide rewarding pharmacy externships to all students. The pharmacy technician program at Ross Medial Education prepares students for employment in health care. The curriculum is 900 clock hours or 66.5-quarter credit hours. Instructors will train students to function at an entry-level competency as an assistant to a registered pharmacy in retail or institutional pharmacies. The program’s main goal is to give students a sufficient knowledge base in medical terminology, pharmaceuticals, drug procurement, inventory control, compounding procedures, and computers and pharmacy software. Course topics include introduction to pharmacy, pharmacy law and ethics, pharmacy operations, basic principles, medical terminology, measurement systems and dosage calculations, non-sterile compounding, sterile compounding, and hospital and health systems. Apart from the training in the classroom, students are expected to complete an additional 302.5 clock hours of outside classroom work. Applicants must complete an evaluate to determine general ability. They must earn a minimum of 15 correct answers on the Wonderlic Scholastic Level Exam. A high school diploma or GED and attendance of an orientation session are the other requirements for enrollment. Tuition for the program is $14,600.